Evidence of Astronomy has been found in most ancient cultures. The Egyptians, the Babylonians, the Mesopotamians, the Chinese- and in the New World- the Mayans, the Aztecs and the Anasazi all tracked the movement of stars across the heavens. Astronomy has always been a practical endeavor arising from a fundamental need to anticipate the seasons. Astronomy’s utility didn’t stop there, however. Interpreting the motion of the stars also helped the traveler in ancient and not so ancient societies- particularly those hunting far from familiar landscapes, journeying on long trading missions or sailing out at sea without landmarks. But, in each of these long ago civilizations, what became of the individuals who made the fundamental astronomical discoveries that future generations have taken for granted? Their names have been sponged from our collective memory over the centuries. Even today, our use of selective retention persists. For example, what names come to your attention when you consider the great minds of Astronomy? Ptolemy, Copernicus, Kepler, Galileo, Halley are names that may rush forward. Hubble, Sandage, Hoyle, Sagan, Hawking and dozens more also have helped reveal wonders of the Universe that surrounds us. But, these are all men. Are there no women? Of course, there are women. But the thousands who have and are contributing to Astronomy remain, very much, unsung. Let’s listen to a song about one such contributor from the late 1800’s- a period of amazing discovery in all the sciences, including Astronomy. It was also a time that saw expanded opportunities for women. However, women were still considered inferior to men. Some of this was even supported by the science of the day. For example, Charles Darwin, like his predecessors, regarded women subordinate because of their role in reproduction. He asserted that women had the simple task of bearing and raising children. While Darwin’s position was based on his direct observations of nature, others used craniological data and the laws of physics to underscore this mistaken belief. Scientists and non-scientists became similarly convinced and argued against women becoming politically active, overly educated or too involved in science- an unfortunate situation whose refrain still partially echoes into the 21st Century. But, situations and determination, in combination, have enabled women to make significant contributions- such as Williamina Fleming, who discovered the scene that accompanies this article. Williamina Fleming was Scottish by birth and moved with her husband to the United States at the age of 21. Within a year of their arrival, while pregnant with their son, her husband abandoned her then fate interceeded. Desperate for resources to support her new infant, Williamina secured a position in the household of Professor Edward Charles Pickering. He was the eminent director of the Harvard College Observatory , he later co-founded the AAVSO and she became his maid. 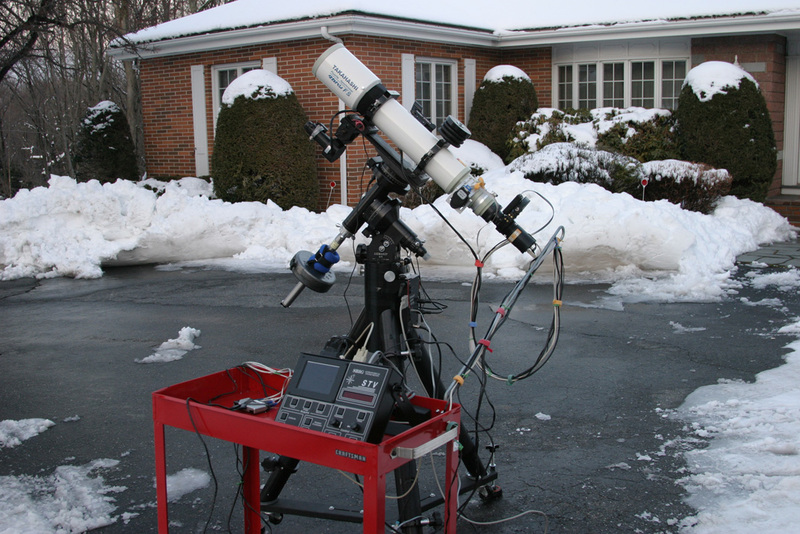 Pickering’s work at the observatory focused on variable and double stars using cutting edge tools like photography and spectroscopes. This generated a enormous amounts of raw data that was useless with out further analysis. For example, under Pickering’s direction, the observatory amassed over 250,000 photographic plates. For all of the romance and wonder associated with Astronomy, in practice, astronomers deal with numbers- lots of numbers. Astronomical analysis is repetitive, tedious, exacting work and Pickering was plagued by the inaccuracies and disorganization of his male subordinates. According to legend, Pickering finally became frustrated and declared that his maid could do better! It was an amazing and pivotal turn of events for this young person! 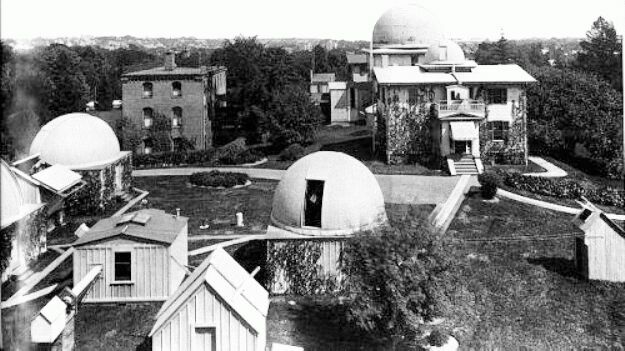 Thus, Williamina was hired, in 1881, to perform clerical and mathematical work under Pickering at the Harvard Observatory. She was now about age 23. Williamina quickly proved herself to be an asset. She created a system of classifying stars based on their hydrogen content. She was then placed in charge of dozens of women who were hired to perform mathematical analysis- the type of calculations that, today, would be handled by electronic computers. Interestingly, these people were called “computers”! She also edited the Observatory’s publications and in 1906 was made an honorary member of London’s Royal Astronomical Society. In short, Williamina’s biography would make a great movie! She is credited with the discovery of 10 novae, over 310 variable stars and 59 gaseous nebulae including the wispy nebula in this picture, first seen in a photographic plate she was analyzing. Unfortunately, it was the custom of the day for a researcher to credit discoveries to their immediate superior. Thus, Flemming’s Triangular Wisp is more commonly known as Pickering’s Triangle- one of the few off key notes in this song about the astronomer named Williamina Fleming! The scene in the accompanying image displays a place, about 2,600 light years from Earth, in deep space toward the northern constellation of Cynus. It’s part of a larger nebula, called the Veil Nebula Complex, seen in a prior Astrophoto featured here. These wisps are all that remain of a massive star that exploded long ago. This dramatic close-up was produced by Steve Cannistra from his dark sky-observing site in North Smithfield, RI. Steve is a physician at an academic medical center in Boston, MA during the day and an avid astronomer during nights when his responsibilities permit. This image was taken through a modest four-inch telescope and a 3.2 mega-pixel astronomical camera during mid-July, 2006. It represents a six-hour exposure. The colors are not as you would see them were you to travel much closer to the place seen telescopically in this image. This picture was produced with special filters that only pass the light emitted by hydrogen and oxygen atoms floating in the vacuum of space. Steve has pioneered the production of beautiful deep space images using only two filters. In this example, the color red was assigned to light his camera gathered from hydrogen, blue was used for oxygen and green was synthetically created from the difference between the first two. This approach to astrophotography enables both a view of the subject being studied as well as its molecular composition.